Three Sons Window & Door, Inc. Comment: Am toying with the idea of an under deck screened patio and would welcome your ideas/estimates. Thank you. Comment: I would like to replace 7 windows: (1) 33" wide, (4) 30" wide and (2) 23" wide windows. The existing windows are very old and some have failed seals. I am interested in the Harvey classic double hung vinyl. Comment: We are interested in getting storm windows installed. Total of 20+ windows. We are just checking costs to aid in decision making at this stage. 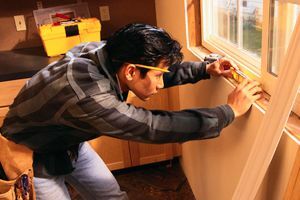 Arlington Window Replacement Companies are rated 4.76 out of 5 based on 1,260 reviews of 35 pros. Not Looking for Windows Contractors in Arlington, MA?